A.J. 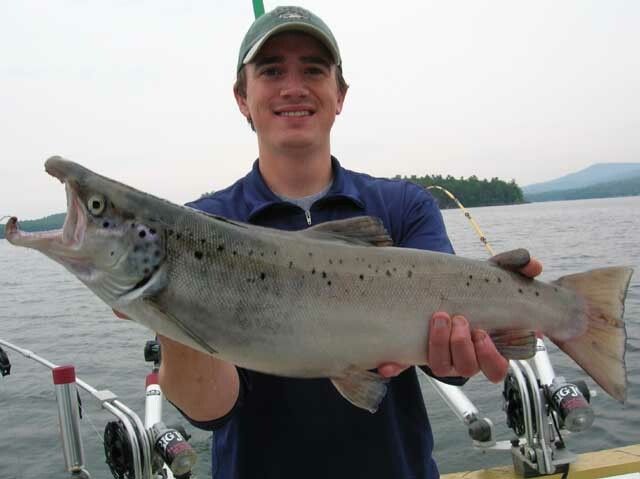 White - 1st major prize winner of the 2008 Winni Derby, Travis Williams - Jigging up a record 18lb Lake Trout, Adrien Lavoie - Chartering the 1st place Winni Derby Lake Trout for 2006 along with much more to come! 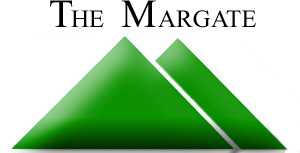 Check back soon to see our new media section! 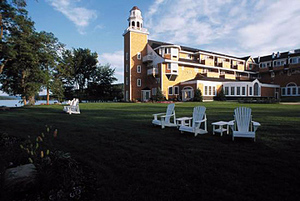 Beautiful Church Landing, Part of The Inns & Spa at Mill Falls. Getting married here? Let us pick your wedding party up at the Town Docks for an AM Fishing Charter with fun boat to boat fishing contests! Our fleet can accommodate large parties. Going on a fishing charter but don't have your license yet? Have no fear as you can purchase one anytime online. All you need is a printer. 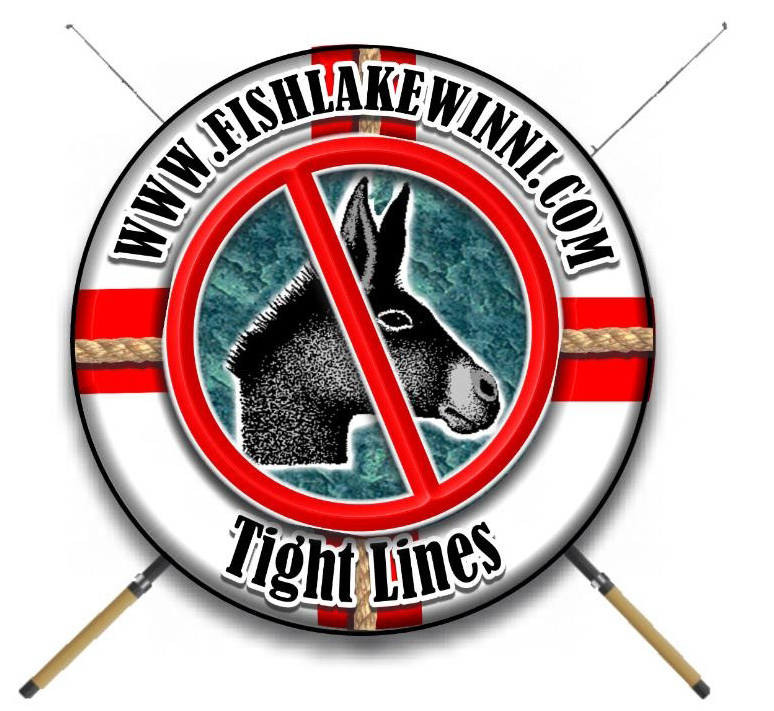 www.fishlakewinni.com Breeding fishermen from Donkeys since 1998! The 2018 Fishing Season is here, Book Your Charter Today! 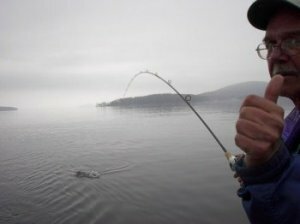 Want to see what light tackle, line screaming fishing is all about? Book a trip with a Fishlakewinni.com Guide for an outdoor adventure you will not forget! Want to brag about your catch? Have your pictures posted on the Bragging Board to share with everyone! Never venture out unprepared, you should always know the local forecast for your own safety and fishing pleasure! 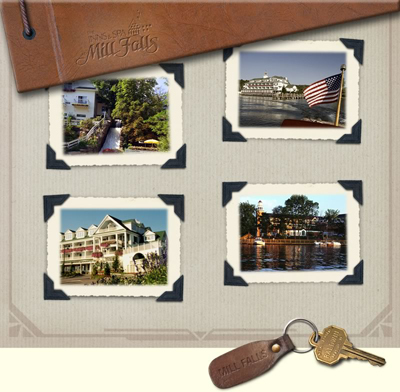 Ask about Fish & Stay Packages!